When you click the image links for these sponsors I get a small commission. Thanks! These folks rent just about everything you have ever needed, or dreamed about using for still photography, and video too. They will ship your order to your home, office, or studio and you ship it back to them in the same sturdy packaging. Borrow lenses is the place to go if you want to try out some gear before purchasing it, or to add to your photo bag on an assignment, vacation, or family event. 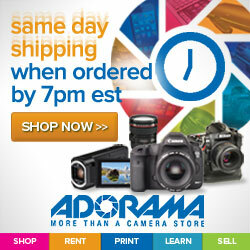 From lighting to DSLRs and the latest mirrorless cameras… they’ve got you covered. REI has been a source for so much of my outdoor gear for many, many years. If you spend any time enjoying outdoor activities this is the play to shop. Get equipped for skiing, hiking, backpacking, rock climbing, paddling and of course…making images. I love my Think Tank bags. It is obvious that their designers talk to many, many working photographers before they put together a new product. Think Tank does not sell a bundle of fancy features in black fabric — they sell functionality.